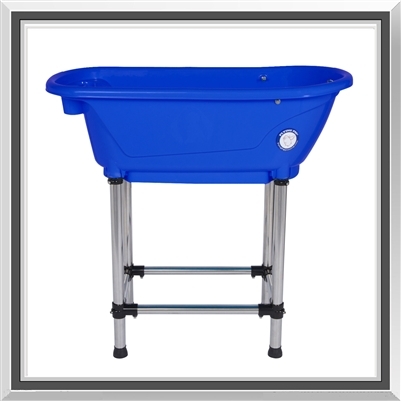 Height of the tub basin:11.5"
This is our fun and compact plastic home use bath tub. Tub is easily accessible and simple to use; place your pet in it and wash him or her in less than an hour. An entry way of 360 degrees allows you to wash your dog from any angle, saving you time and stress. 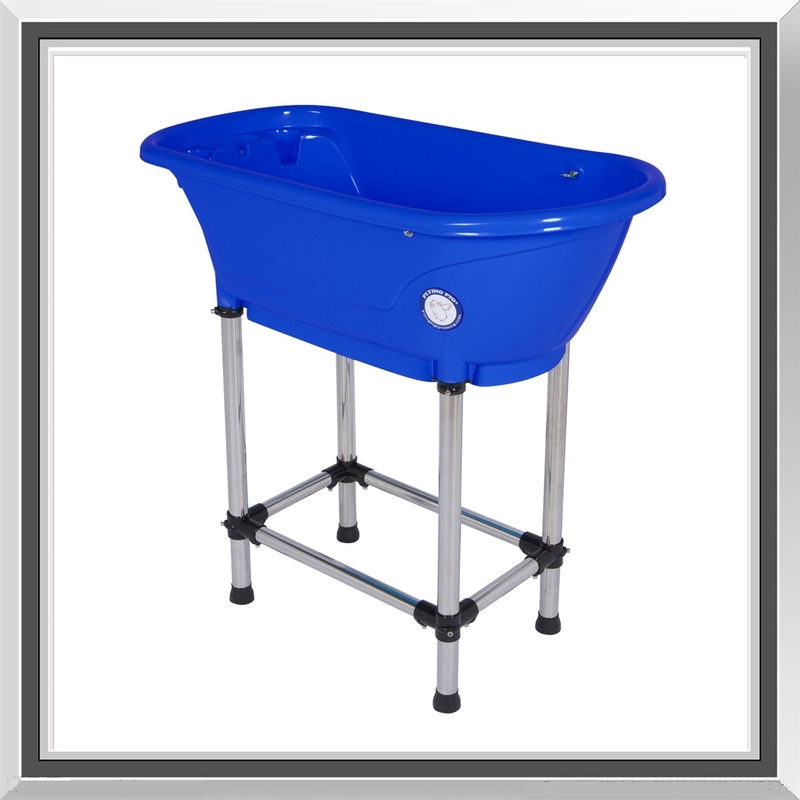 It is a functional and convenient pet bath which helps to relieve most of the problems with home pet bathing such as back pain. 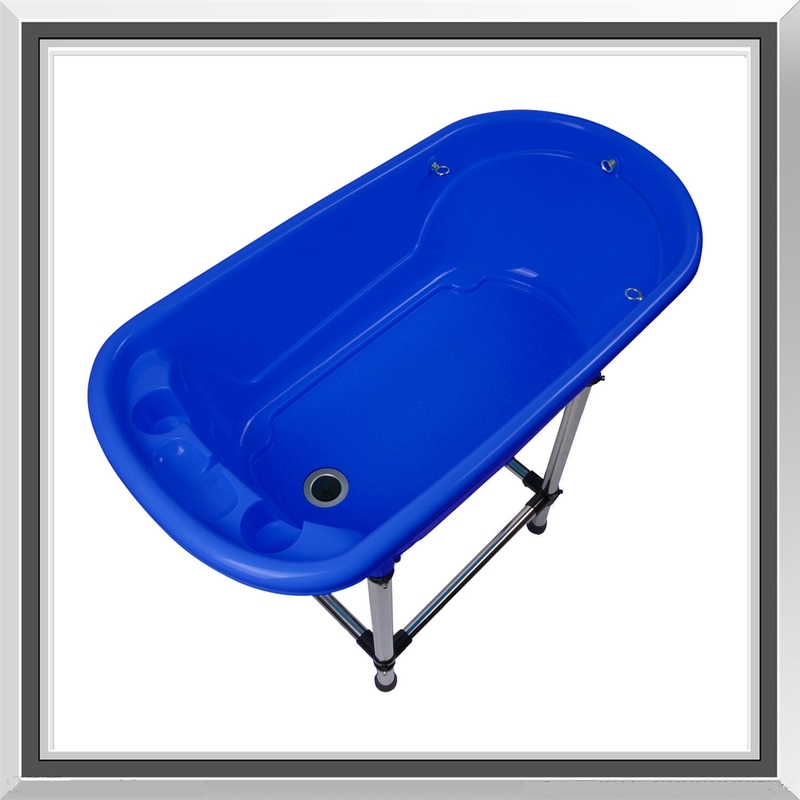 It is made of UV protected plastic, both durable and long-lasting. It stands upon four sturdy legs with levelers for uneven floor (if needed) and equipped with high quality rubber drain hose for easy drainage. 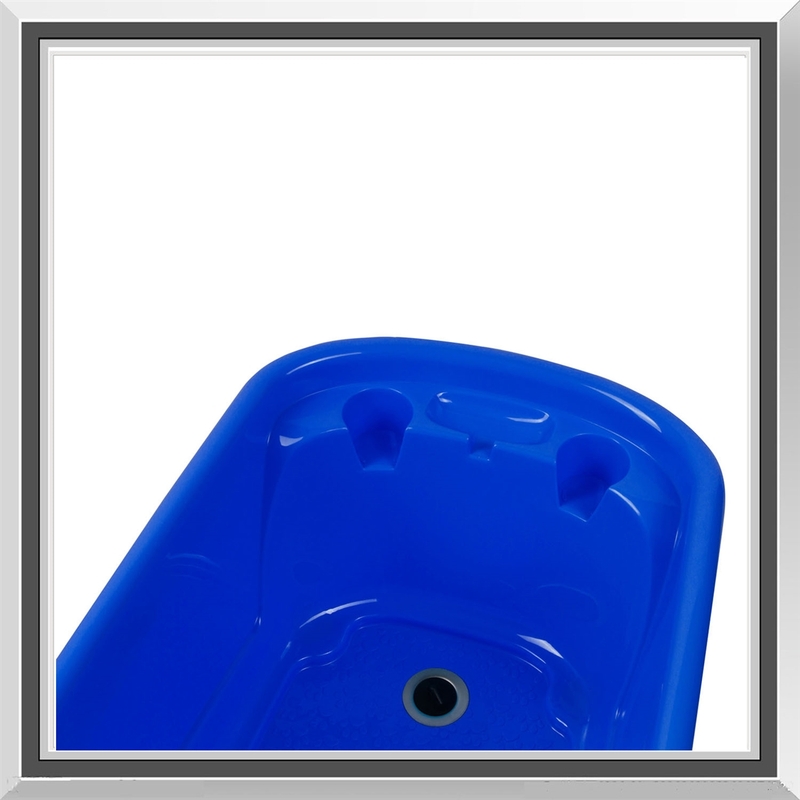 Tub basin comes in 1 piece and is ready to assemble right out of the box. 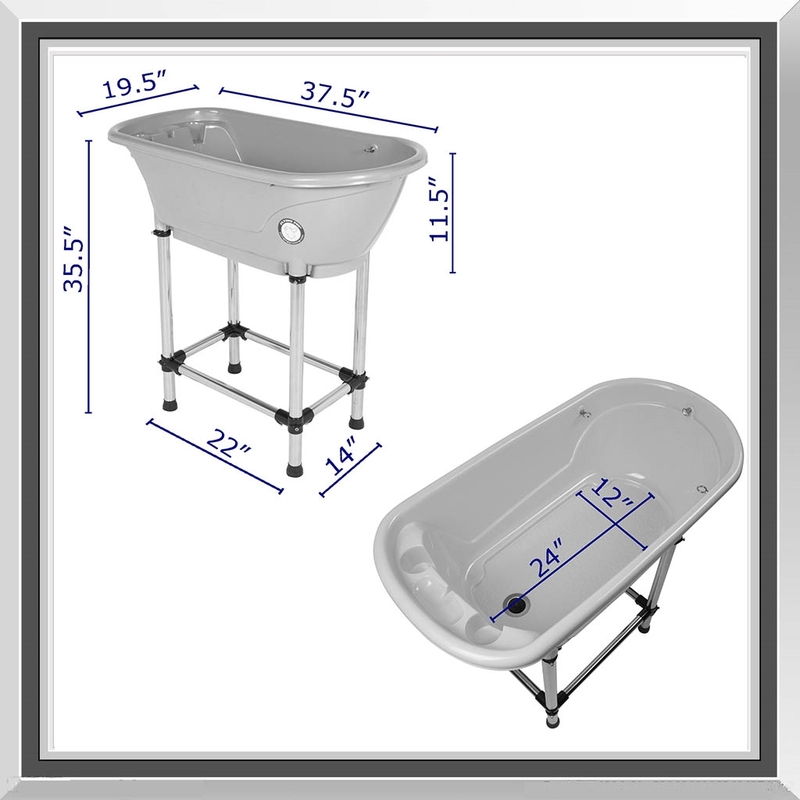 This bath tub can be stored in compact spaces for easy storage. All customers are responsible for their own plumbing. I ordered the Flying Pig dog wash grooming bath tub for my small poodle. He was too big to bathe in the kitchen sink and bathing him in the tub was hard on my back. This is just was I needed. It was easy to assemble and serves the purpose beautifully. Thank you so much!